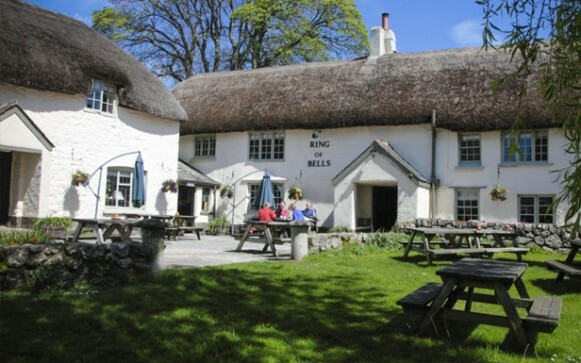 The Ring of Bells Inn, lies nestled in the village of North Bovey. This area is perhaps more well known for the fabulous, dog-friendly Bovey Castle just up the road and lunch or dinner here makes a great addition to a weekend there. 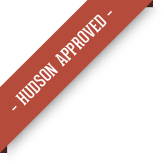 But it is also has Hudson's seal of approval on its own merits. Housed in a picture-book 15th century thatched building, it is all low beams, cosy nooks and crannies and welcoming warming fires. Eat: One of the best things about the Ring of Bells is that it manages to get the balance between quality and simplicity just right. It never loses sight of the fact that it is above all else a pub and the food reflects that. So lunchtime sees chef Tony Carr ease up on the flamboyance and head safely into high-quality pub grub territory. The steak sandwich is legendary, but there's also an excellent Ploughman's and as good a fish and chips as you'd hope for anywhere. In the evening the food gets a little fancier and moves into good local restaurant territory, with the emphasis again on fresh, seasonal and local produce. Dogs are allowed throughout the pub (apart from the dining room) and it would be an odd occasion where there wasn't at least one in the bar. Sleep: Dogs (and their owners) are allowed in all five rooms. These range from room one, with its four-poster bed and separate sofa area, to a small (cosy) twin in the eaves of the thatch. All are well presented and offer a decent place to stay for the night (in the best tradition of the travellers' inn). Walk: North Bovey is in Dartmoor, and as you might expect there is no shortage of fantastic walking to be had in this beautiful corner of Devon. There are plenty of excellent walks in the Dartmoor National Park but there are also some lovely walks in the Teign Valley and with the coast not far away, there's always the coastal path or some excellent, dog-friendly Devon beaches.